Conduct deposit verification and/or change order preparation using specialized counting equipment and procedures. Separate currency, coin, and/or check deposits received from bank, ATM, and/or Provide accurate count by denomination for commercial customers. Prepare currency and/or coin change orders by denomination for each customer assigned: Essential Job Function: Prepare change orders Working Conditions: ● Work is performed in a room or work area within a vault with little or no exposure to outside light. The workspace is heated in winter, air conditioned in summer (68-72 degrees) ● Work is performed primarily from a sitting (on a stool with back support) or standing position in front of a 3.5 -- 4 foot high counter. ● Full time work consists of an average of 40 hours per week. 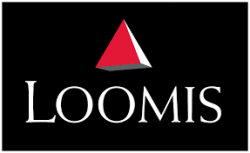 Benefits: Loomis offers a comprehensive benefits package that includes Automatic 401K Plan for all employees and a selection of benefits covering Dental, Vision, Medical, Long Term Disability, Flexible Spending Accounts, and Life, AD&D plans for the employee and their dependents.